The biggest, the grandest outdoor party is about to happen this May 25, 2013 at Cebu Boardwalk, FF Cruz North Reclamation Area, Cebu City, Philippines. A sequel to LifeDance 2013: The Circus of Life which was attended from all over the world, LifeDance 2013: Wicked Summer sets itself different as it assures to bring in a deep and enchanting experience that will surely make this party unforgettable. “We always have some fresh ideas that the team comes up and we apply it to the upcoming LifeDance. Every Lifedance is always better than the last one, so we pressure ourselves to make new fun ideas that we can apply to the event. We have a lot of surprises for our attendees but one thing we can divulge (for now) is the introduction of the VVIP area. VVIP area can enjoy the benefits of a VIP plus the access to premium drinks and cocktails,” Cris Go, LifeDance co-producer, shares. Producers of LifeDance 2013 Wicked Summer selected the world's hottest DJs. Indonesian producer and mixer Angger Dimas, New York’s hippest DJ duo, Las Vegas based duo YellowFever and Swedish Duo, Felix Zaltiao and Lindh Van Berg are just three of the most sought-after DJs that this year’s party-goers should look out for. Photo below is a place to cool off, to pre-party, or just to chill-out. BUT WATCH OUT FOR THE AFTER PARTY! 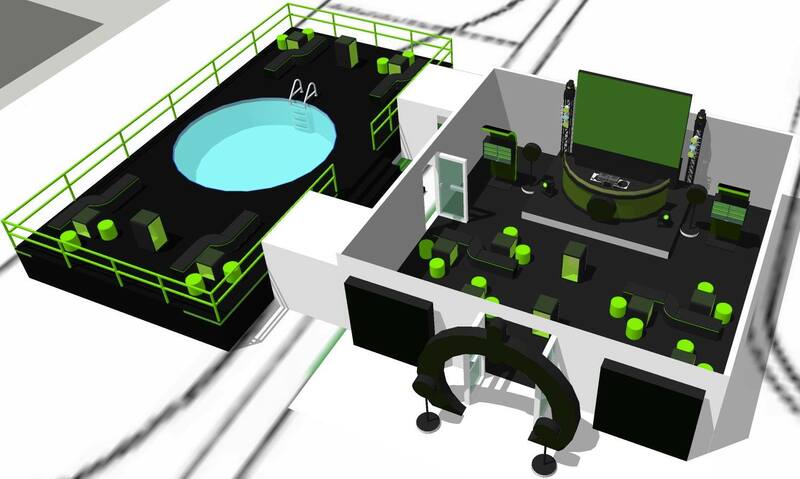 The tent/lounge will feature air conditioning, DJs booth, awesome sound system, lights and video. Tickets are now priced at P500 for General Admission, P1,500 for VIP and P2,500 for VVIP. For VVIP tickets, please get in touch with Vanessa at +63 917 323 5840 from 12nn - 12mn. JUST A FEW tickets left! Make sure to purchase the tickets before the event! Please buy from OFFICIAL TICKET CHANNELS ONLY. *Ticket information updated May 22, 2013 11:03am. Now on its second summer staging, BEACH BREAK aims to bring together partyphiles from different corners of the archipelago to get away from the usual, indoor clubbing scene and soak-up the vibe - sun-down till sun-up - in the pristine shores of Mactan Island, Cebu, Philippines. From alternative rock to reggae to hip-hop, to today's hottest mash up's and electro house hits, BEACH BREAK brings larger-than-life musical entertainment in one explosive event! This year, BEACH BREAK’s highlights include the presentation of HAPPYCEBU.COM's 100 PRETTIEST GIRLS in a special segment in the event and the INK LUST TATTOO COMPETITION - a national, on-site tattoo competition participated by tattoo artists from different parts of the country. 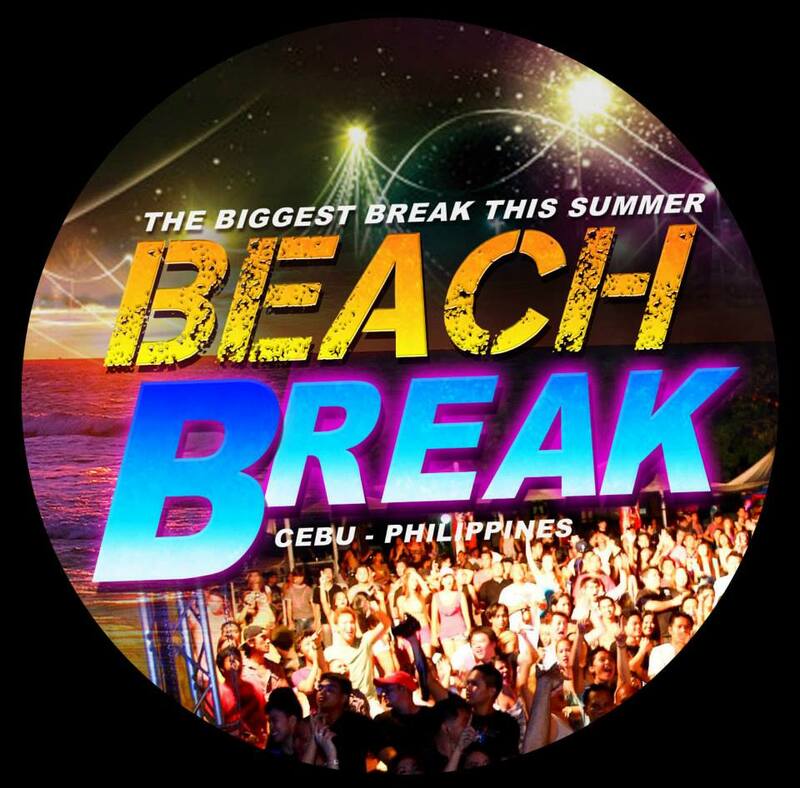 BEACH BREAK 2013 will also be seen on MYX – the Number One Music Channel in the Philippines – as selected crew and VJ’s of MYX will grace and cover the event. Get to experience the unique BEACH BREAK VIP experience with “Spectrum Beach Club at Beach Break 2013“ - the event’s exclusive VIP section. VIP tables are available at P10,000/each inclusive of 10 VIP Tickets, 2 bottles of vodka, a bottle of tequila and 10 bottles of beer with special performances by DJ JESSICA MILNER, DJ KATSY LEE, DJ JOM GONZALES, DJ CHRISTIAN MOZO and more! “Spectrum Beach Club at Beach Break 2013“ is brought to you in part with MYX Philippines, CLAVEL Magazine, Native Shoes and Rhipstop. BEACH BREAK came into being last May 16, 2012 at a jam-packed Portofino Beach Resort, Mactan, Cebu with an overwhelmin turnout of thousands of Beach Breakers. BEACH BREAK is produced and organized by Green Light Creative Concepts - a respected events company that has been in the industry for 8 years now and has dominated the party scene of the Queen City of the South. Capturing massive party crowds with its renowned indoor & outdoor events such as the annual SINULOG MANGOFEST and the most talked about in-house club parties in its sister company-bars NUMERO DOCE, CLUB PUMP, TONYOS BAR AND RESTAURANT and ALCHOLOGY SUPERCLUB. Green Light Creative Concepts has undoubtedly become an authority in Cebu’s night-clubbing circuit. All tickets are sold P400/each (May 5-17, 2013) and P500/each (May 18, 2013). Red Box: Rock. Dine. Roll. 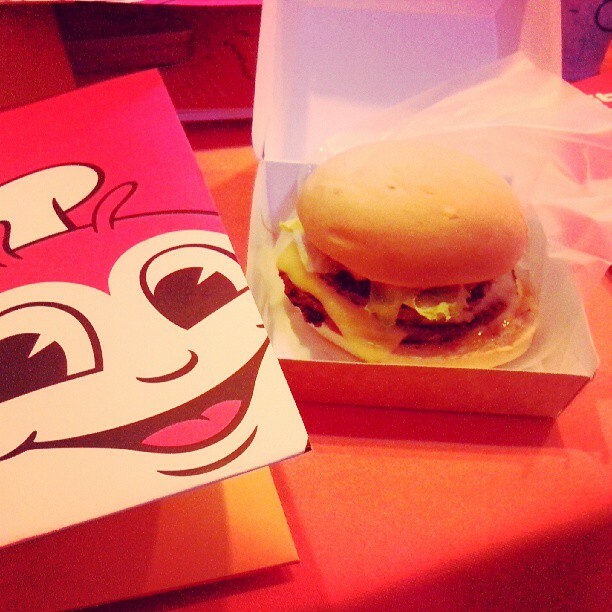 Amazing Aloha Burger From Jollibee is Back! From the Philippines' largest fast food chain, Jollibee Food Corporation is bringing back the Amazing Aloha Burger for a limited time only. It will be on the menu TODAY May 15, 2013 at exactly 3:00pm in selected Jollibee stores nationwide! A bite-after-bite delight of two juicy burger patties, crispy bacon bitsm cheese, and lettuce, droused in honey mustard dressing, topped with a fresh slice of pineapple, and sandwiched between two soft buns, the Amazing Aloha is a uniquely extraordinay burger experience that is amazing in every bite! In celebration of 35 Langhap Sarap years, selected Jollibee stores nationwide will be giving away 100 Amazing Aloha Burgers for FREE at 2:30pm today (May 15, 2013). Redemption period will start at 3:00pm. Visit any of the 35 participating Jollibee stores near you!